Despite the change in format, the focus for both teams remains the swiftly-approaching fifty-over World Cup. South Africa made as much clear by naming the same squad for the first T20I as that chosen for the ODIs just past, with national selector Linda Zondi stating that Cricket South Africa regard the match as another step towards the completion of ‘Vision 2019’, their grand plan for World Cup success. Captain Faf du Plessis says that he is “99.9% sure” about the personnel he will take to the tournament in England at the end of May, and all of South Africa’s chopping and changing over the course of a long and generally successful home summer has meant that they have a decent idea of who can do what. South Africa have regained form and confidence during the ODIs, and despite their focus being elsewhere, their T20I outfit will be extremely hard to beat. Sri Lanka, on the other hand, seem only to have regressed since the remarkable triumph that opened their tour. Indeed, the glory of their historic Test series win seems a distant memory after their 5-0 drubbing in the ODIs, and they are in the midst of another coaching crisis as Chandika Hathurusingha has been asked to return to Sri Lanka, with fielding coach Steve Rixon tasked with filling the acting head coach’s role for the T20Is. The visitors have been unable to arrest their slide in one-day cricket, and they also have plenty of ground to make up in the 20-over format, in which their recent record isn’t much better. Sri Lanka are ranked 9th in the format, below Afghanistan, and have won just six of their last 20 T20I matches. Before they get their World Cup squad in order, they will need to get an XI to click on the field. While all of his 10 international hundreds have come in cricket’s other two formats, it’s arguably in Twenty20s that JP Duminy has made the most of his undeniable talents. At franchise level, he has 6,000 runs in the format, while his T20I average of 37.91 is higher than that for Tests or ODIs. 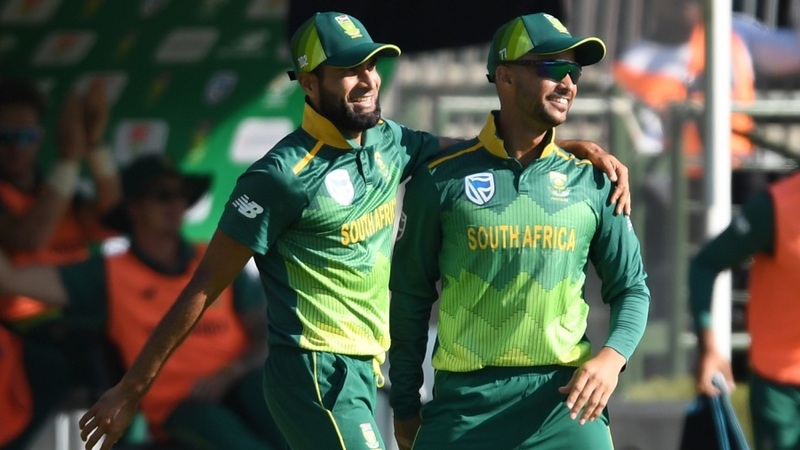 His rapid 31 to close out the game in the fourth ODI at St George’s Park showed that Duminy has lost none of his touch despite a lengthy injury lay-off, but with the World Cup drawing closer and the window for selection closing, Duminy will want to make his presence felt in the T20Is. Few in South Africa would have heard of Isuru Udana when he arrived here ahead of the ODIs. Udana had played just two ODIs previously, against India seven years ago, but after a couple of counter-attacking knocks down the order and a nagging line with the new ball, he was one of the few Sri Lankan players to emerge from the carnage of the one-day series having actually enhanced his reputation. Udana has had a few more opportunities in the shortest format, having played 18 T20Is since his debut at the World T20 in 2009, and his contributions as a back-up seamer and lower-order slugger could help bolster Sri Lanka. South Africa may look to play a similar XI to the one they did in the fifth ODI, given how that match ended. The only change is likely to be Dale Steyn playing in place of Lungi Ngidi, who is nursing a side strain. Other than that, the hosts will want to re-test the combination before the squad changes once again for the second and third games, as well as give JP Duminy and Imran Tahir the chance for a fitting send-off. There are a few new faces in Sri Lanka’s squad, while several of their frontline players – including Angelo Mathews, who has still not recovered from his hamstring injury – are still not available for selection. Sadeera Samarawickrama may join Niroshan Dickwella at the top of the order, while Jeffrey Vandersay is one of two wristspinners in the squad. Seamer Asitha Fernando, the 21 year old seamer, could well be in line for a T20I debut. Summer is drawing to a close, but the weather should be good in Cape Town, with a mild night expected. The Newlands surface can often be a little on the slow side, but before the lights went out in the fifth ODI, fast bowlers from both teams enjoyed themselves on a track that offered pace and bounce. The last time South Africa played a T20I here, against Pakistan at the beginning of February, they cracked 192 for 6: the highest total ever recorded in a T20I at this venue. No player has yet hit a century in a T20I at Newlands. No-one has scored more T20I runs at Newlands than JP Duminy, who has 229 runs at 45.80 from seven games here. Sri Lanka have played two T20Is at Newlands, losing to Australia by 10 wickets in the 2007 World T20, and beating South Africa by five wickets the last time they toured in 2017.